LifePoint Health Inc (LPNT): Are Hedge Funds Right About This Stock? Hedge funds and other investment firms run by legendary investors like Israel Englander and Ray Dalio are entrusted to manage billions of dollars of accredited investors’ money because they are without peer in the resources they use to identify the best investments for their chosen investment horizon. Moreover, they are more willing to invest a greater amount of their resources in small-cap stocks than big brokerage houses, and this is often where they generate their outperformance, which is why we pay particular attention to their best ideas in this space. LifePoint Health Inc (NASDAQ:LPNT) was in 16 hedge funds’ portfolios at the end of September. LPNT investors should be aware of a decrease in hedge fund interest in recent months. There were 22 hedge funds in our database with LPNT holdings at the end of the previous quarter. The level and the change in hedge fund popularity aren’t the only variables you need to analyze to decipher hedge funds’ perspectives. A stock may witness a boost in popularity but it may still be less popular than similarly priced stocks. That’s why at the end of this article we will examine companies such as Sinclair Broadcast Group, Inc. (NASDAQ:SBGI), Nabors Industries Ltd. (NYSE:NBR), and Avista Corp (NYSE:AVA) to gather more data points. 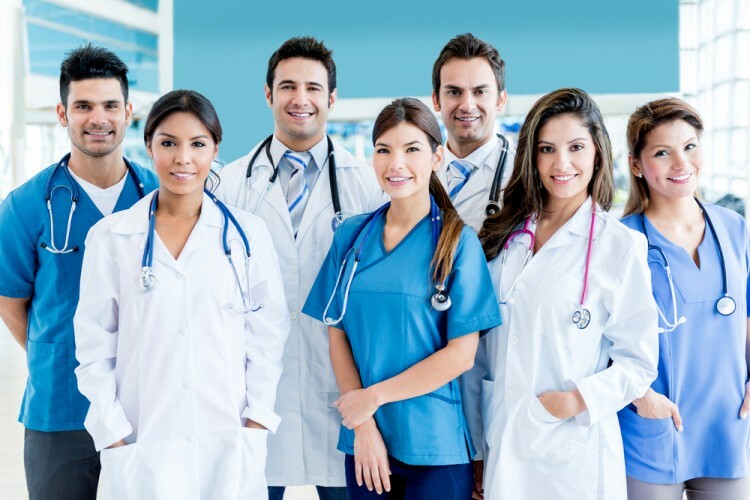 What does the smart money think about LifePoint Health Inc (NASDAQ:LPNT)? At Q3’s end, a total of 16 of the hedge funds tracked by Insider Monkey were long this stock, a drop of 27% from the second quarter of 2016. 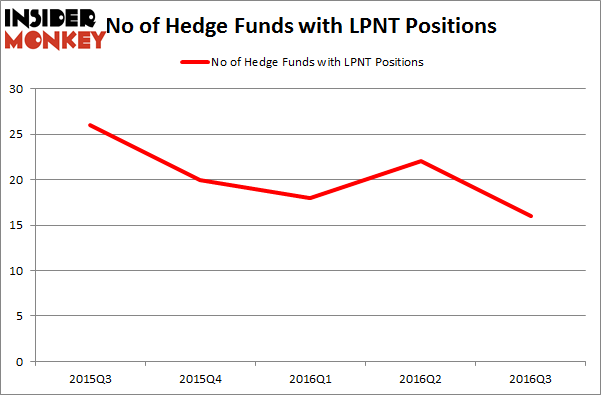 The graph below displays the number of hedge funds with bullish position in LPNT over the last 5 quarters. So, let’s review which hedge funds were among the top holders of the stock and which hedge funds were making big moves. Of the funds tracked by Insider Monkey, Ric Dillon’s Diamond Hill Capital has the largest position in LifePoint Health Inc (NASDAQ:LPNT), worth close to $111.6 million. On Diamond Hill Capital’s heels is North Tide Capital, led by Conan Laughlin, holding a $29.6 million position; the fund has 3.2% of its 13F portfolio invested in the stock. Some other hedge funds and institutional investors that are bullish comprise Larry Robbins’ Glenview Capital, Jeffrey Jacobowitz’s Simcoe Capital Management and Cliff Asness’ AQR Capital Management. We should note that none of these hedge funds are among our list of the 100 best performing hedge funds which is based on the performance of their 13F long positions in non-microcap stocks. Is Bottomline Technologies (EPAY) A Good Stock To Buy? Is Cohu, Inc. (COHU) A Good Stock To Buy Right Now? Hedge Funds Are Selling Concordia International Corp (CXRX) Is Tobira Therapeutics Inc (TBRA) A Good Stock To Buy? Is 2U Inc (TWOU) A Good Stock To Buy? Is Cryolife Inc (CRY) A Good Stock To Buy?